When posed with the question myself, I answered proudly and jokingly: The Detroit Titans. Of course this isn’t my real pick, as Detroit was a 15-seed who ended up losing by double-digits to Kansas in the opening round. Instead, I filled out a bracket, purely for fun, enjoyment. The bracket answered a different question that often overlooked in March when given a blank bracket. The question, you ask? Which mascot would win in a fight? Nonetheless, Detroit proved the winner of my Mascot March Madness. What attracted me to this method was the fact that you don’t need to know jack-squat about college basketball or the teams in the tournament. Anyone can fill out a mascot bracket, and be happy and entertained in doing so. 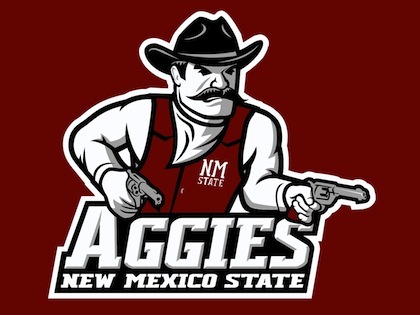 There were a number of lower-seeded teams that went far in the tournament aside from my Titans, including the Norfolk State Spartans, the Montana Grizzlies and the New Mexico State Aggies, whose mascot is a cowboy-looking guy. These teams were a given an opportunity to do well solely because of the boss level of their mascot. All four teams lost in the first or second rounds in real life, but succeeded in my tournament. On the other hand, a few teams were bounced early in my bracket because their mascot simply didn’t live up the talent that their basketball teams claim. The Orange from Syracuse proved to be no match for the UNC-Asheville Bulldogs. In comparison, the Ohio State Buckeyes didn’t bother to show up against the Greyhounds of Loyola. My Final Four included two surprise teams in Detroit coming out of the Midwest region and Montana out of the East. However, the two others were higher seeds who were also favorites coming into the real NCAA Tournament: the Michigan State Spartans and the Duke Blue Devils. Using the mindset that a Spartan is the ideal 300 character like King Leonidas, Detroit won a close championship match with Michigan State for one sole reason: Titans don’t lose to humans, but only to more powerful gods. In Greek mythology, the Titans were a race of powerful and immortal gods who ruled over the universe. That is until the Olympians, led by the almighty Zeus, won the war between the two sets of gods. Had a team’s mascot been an Olympic god, we would have had a different champion. However, this was not the case. Thus the Titans take home the trophy of being the best mascot in this field of 68.